Our blue-and-white fine china porcelains of Ming Dynasty style are hand-made and no two pieces are alike. 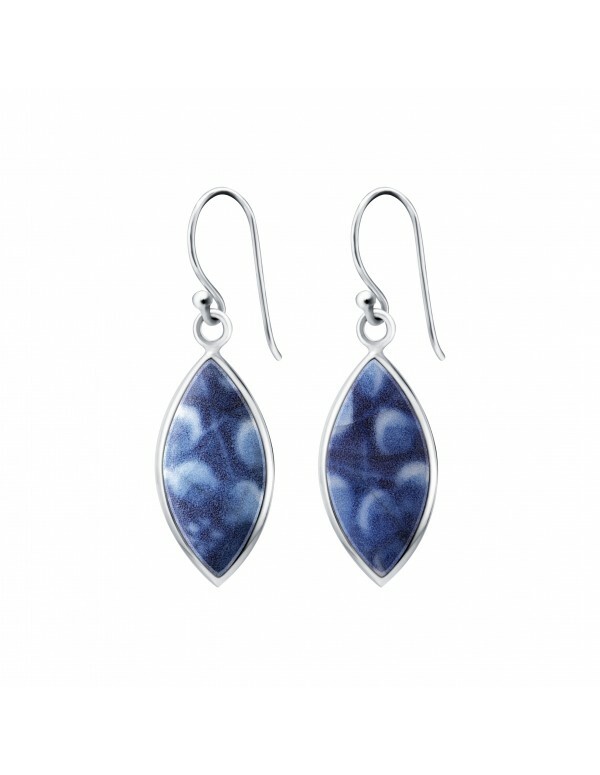 These beautiful art style earrings are set in 925 Sterling Silver and are great for everyday wear. Chinoiserie chic and understated.